Since the beginning of agriculture, successful farming has meant the extraction of minerals from soil as plants grow. A relatively small world population and a vast agricultural frontier made this seem a problem of minor consideration and until relatively recently, Planet Earth seemed infinite! Plants may look the same, but some depleted agricultural soils may lack important minerals. However, today many health professionals agree that even human health relates to the minerals present or, lacking in the soil. Depleted soils can exacerbate metabolic diseases that may unlock an array of health consequences. “Animals and humans are the biochemical picture of the soil”, said Andre Voisin, in his “Soil, Grass and Cancer” book. This approach shows us that an imbalanced equation, with foods grown in poor-quality soils, cannot produce positive results in living organisms. 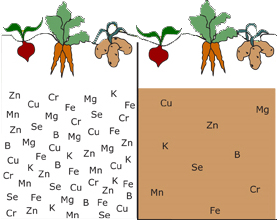 Minerals and other micronutrients become available in the soil very slowly. It takes millions of years for rocks to break down, generations of animal carcasses to decompose and return their constituent elements to the soil. But what takes millions of years can be depleted in a geologically relative instant. This happens because crops and animals that grow every year in our farmlands, draw upon the minerals for their growth (present in carcasses and grains), and these “withdrawals” are rarely re-deposited. In the last 150 years, the rate ­­­of extraction of soil minerals, from crops to livestock, has been far greater than what has been put back in. To complicate this scenario even more, most agricultural soils are back on production shortly after a new season starts, extracting yet more nutrients from an already depleted system. It’s true that soil amendments are frequently applied by many farmers. But when amended, soils usually receive tiny, effectively homeopathic amounts, and these are frequently in the form of synthetic fertilizers or raw manure, compared to the considerably large quantities removed. These applications mainly replenish macronutrients (nitrogen, phosphorus, and potassium) and are usually catered to a given crop. This is far from enough. Micronutrients such as, calcium, iron, magnesium, boron, zinc, etc., are as important or more for diverse life functions, (included human health), but they are usually the first to be neglected. Ideally, minerals should be processed -ingested and digested- by soil microorganisms (e.g. bacteria, fungi, nematodes and earthworms), and aggregated into organic matter before they can be healthily absorbed through the food chain. Most soils contain micronutrients, but they are considered healthy,when living organisms are present. All these creatures need water to mobilize minerals, and water is more successfully held in soils that remain covered. 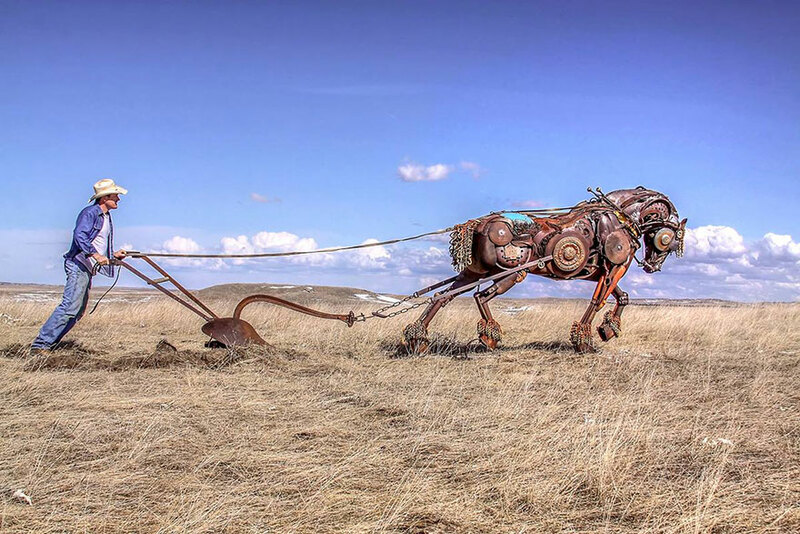 Artist John Lopez takes turning old farm machinery into yard art very seriously. Click on the picture to see all the machinery that went into this plow horse. Perform a soil test, consult with a soil professional and see what is missing. Avoid practices that disturb the soil. Revolved soils burn organic matter, hold less water and become inhospitable for soil life. Retire the plow. Paint it, make a decoration reminding us of the times when we did not understand how aggressive this tool was. Use minimum or, no-till practices; they will preserve, soil structure and function. Use composted manure or any reliable compost. Amend compost piles manually, by sprinkling micro minerals -to the pile or row-, before turning. This can be easily done as the pile grows and it will avoid operation costs of spreading them separated. When composted, spread it in the field. 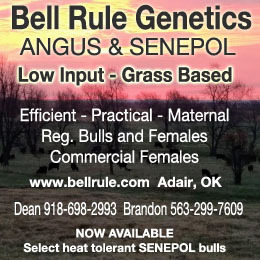 Adopt grazing, no-till cropping and fallow periods, in adequate sequence. 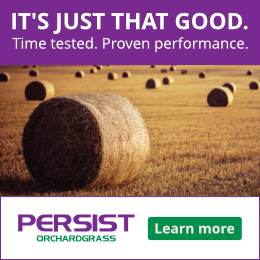 Rotating high-stock density grazing animals for short periods is among the most efficient and effective way to incorporate nutrients back overtime. Grazing animals can do most of the work themselves but, they won’t open the gates. Organic matter will buffer and catalyze mineral absorption. In the end, a living soil plays an essential role, enabling important ecosystem processes and functions such as, creating structure, binding the soil together, helping mobilize minerals and producing benefits from nutrition, health, climate regulation, yields and pleasant landscapes. Juan comes from a two-generation pasture-based family farm in Uruguay. He obtained his BS in Agronomy in Brazil, his MS in Plant and Soil Science with Bill Murphy and his Ph.D. in Natural Resources at the University of Vermont. 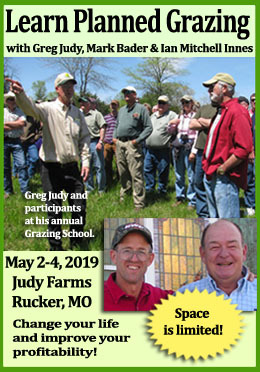 He has experienced interdisciplinary research in grazing management, agroecology, ecosystems goods and services, land use change, conservation policy, green markets, and ecological economics. His work addresses environmental, social and productive aspects of grazing farms, with emphasis on dairy management, ecosystems conservation and sustainable livelihoods in Vermont and New England. In his study, grasslands play a key role because they are complex ecosystems that sustain a vast array of functions and processes delivering benefits for supporting healthy environments and communities.